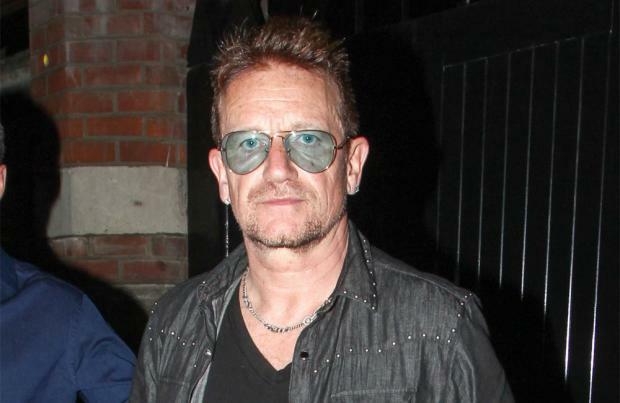 Bono "despised" Catholics and Protestants while he was growing up in Ireland. The U2 frontman has admitted that he hated the religious groups that dominated and divided country during the 1970s. Talking to The Sun newspaper, Bono said: "In Ireland, whether they were Protestant or Catholic, we despised them growing up because we knew they were both the devil. "Somebody has attempted to take your life in a brutally cold, politically planned way because you just happened to be there that day ... like July 7. "It comes down to a deep disrespect for the sacredness of life." The 54-year-old singer also revealed that his home life was not always stable, as he hinted about "darker elements behind closed doors". He said: "Domestic violence is one of the most terrifying things of all. You can understand political violence in some ways but not a father beating his children with a shovel." Despite this revelation, Bono added: "It was extraordinarily idyllic in many ways. The backdrop in Ireland was rough in the 70s but our street was something of an oasis." The 'Songs of Innocence' hitmaker also took the time to praise the British band, Mumford & Sons. He said: "Critically, they are not well regarded in the UK. In America they are. "Well you know what? They're unarguably great songwriters and performers. The UK's got to stop eating its own. "Stick to eating the Irish because we can take it!" The legendary Irish rock group – comprised of Bono, The Edge, Adam Clayton and Larry Mullen Jr – perform a number of shows as part of the eXPERIENCE + iNNOCENCE tour.